Q. What is Permitted in Marriage? Q. My husband and I recently got married in the church. We are an older couple with grown children. We love each other very much. I get confused on exactly what we are permitted to experience as a married couple who can no longer have children. What i have read about this subject is very broad. Can you give me your insight on this subject? A. Well, on the broadest of levels you are invited to experience the full beauty and meaning of marital union as God intended it. It says in the book of Genesis, “That is why a man leaves his father and mother and clings to his wife, and the two of them become one body” (Genesis 2:24). The union of husband and wife is a glorious mystery and is an actual sharing in the union of the life of the Trinity. We are made for unity and husband and wife share in this unity in a very unique and profound way. First, they share in this unity through their unconditional vows of love which reflect the unconditional love of God. The spiritual bond established between couples is indissoluble. This union is lived and expressed in many ways. Or course, one of those ways for married couples is sexual love. It seems that the heart of your question is about this expression of sexual love and what is appropriate and in keeping with the intention of God for marriage. Let’s look at your question from two points of view. First, you mention that you are past childbearing years. This fact does not change what is “permitted” by God in regards to sexual relations. Those who are of childbearing years do need to live in accord with the moral and natural teachings of our Church regarding openness to life. For more on marriage please see Chapter 9 – The Sacrament of Matrimony. And for more on the moral teaching of the Church regarding marital love, chastity, contraception, etc., see Chapter 6 – Chastity, Purity, Affection and Marital Love. As for you and your husband who are beyond childbearing years, the only question is that of expressing sexual love in accord with the virtue of chastity. The simple and straightforward answer to this question is that sexual love, even within marriage, and even when beyond childbearing years, must be chaste and pure. In other words, it is possible, even within marriage, for sexual love to be lustful and impure. 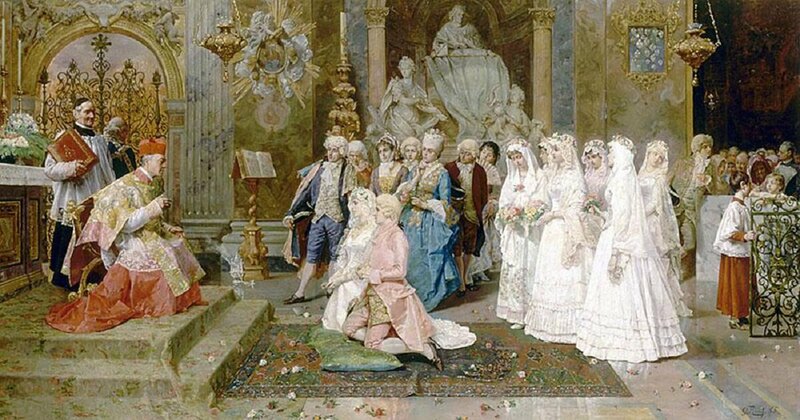 For marital sexual love to be holy and pure, it must be lived and expressed in a holy and self-giving way by which the couple intends to renew their marital covenant which makes them one. It will always be self-giving, not selfish. The other will never be seen or treated as an object. It will always be an expression of your marital covenant of unconditional love. It will have the effect of deepening your spiritual union. It will be experienced as being blessed and willed by God. It will be focused upon the person, not only upon the physical pleasure. It will culminate in the natural sexual act rather than in unnatural sexual activity. Love will control the passions rather than passions controlling the love. Hopefully these general principles will help you in allowing the Holy Spirit to unite you and your spouse in the holy love God has blessed you with.